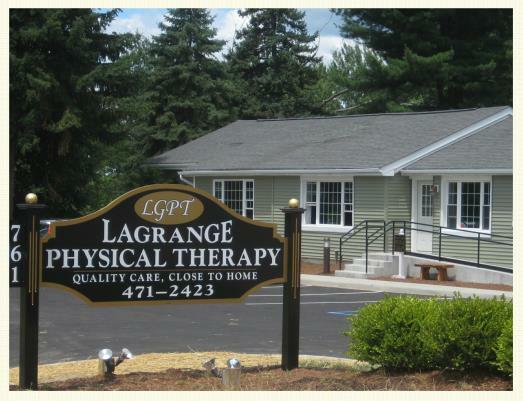 Welcome to LaGrange Physical Therapy in Poughkeepsie, NY. Take a few minutes to become familiar with our practice. At LGPT, we believe in hands on physical therapy combined with fitness. We offer convenient and flexible appointments in a friendly atmosphere. A typical visit will consist of appropriate modalities, manual therapy and therapeutic exercise. Visits average one hour. Have a look at our facilites. Personal individual evaluation and treatment by an experienced professional Physical Therapist. Clean, comfortable therapeutic environment with private treatment rooms. Convenient late/early/or same day appointments. Contact us - we'll get you in. Call for information or email with questions or comments.